WIPO Dir. Gen. Francis Gurry and music legend Stevie Wonder, to join international negotiators in Marrakesh Friday to celebrate landmark treaty. 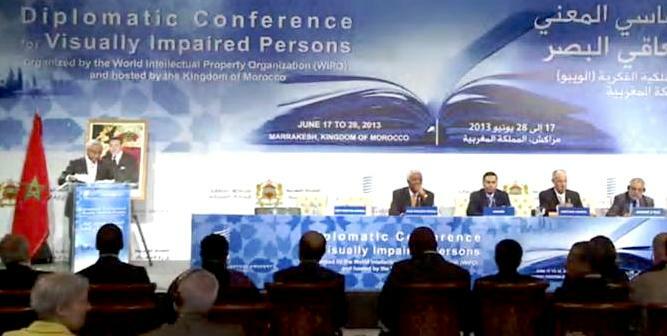 AG-IP News (Marrakesh/Geneva, June 27, 2013) — International negotiators meeting under the auspices of the World Intellectual Property Organization (WIPO) adopted today a landmark new treaty that boosts access to books for the benefit of hundreds of millions of people who are blind, visually impaired and print-disabled.According to WIPO, the treaty, approved after more than a week of intense debate among negotiators gathered in Marrakesh, Morocco, is the culmination of years of work on improving access for the blind, visually impaired, and print disabled to published works in formats such as Braille, large print text and audio books. “This treaty is a victory for the blind, visually impaired and print disabled, but also for the multilateral system. With this treaty, the international community has demonstrated the capacity to tackle specific problems, and to agree a consensus solution. This is a balanced treaty, and represents a very good arbitration of the diverse interests of the various stakeholders,” said WIPO Director General Francis Gurry. “It is a historic treaty that will lead to real benefits for the visually impaired,” Mr. Gurry said. Recording legend Stevie Wonder will join negotiators in celebrations Friday, June 28 with a concert at the Palais des Congres in Marrakesh, where the negotiations have been hosted by the Kingdom of Morocco. Bringing together more than 600 negotiators from WIPO’s 186 member states, WIPO convened the Diplomatic Conference to Conclude a Treaty to Facilitate Access to Published Works by Visually Impaired Persons and Persons with Print Disabilities on June 18. The conference is scheduled to formally end on 28, 2013. 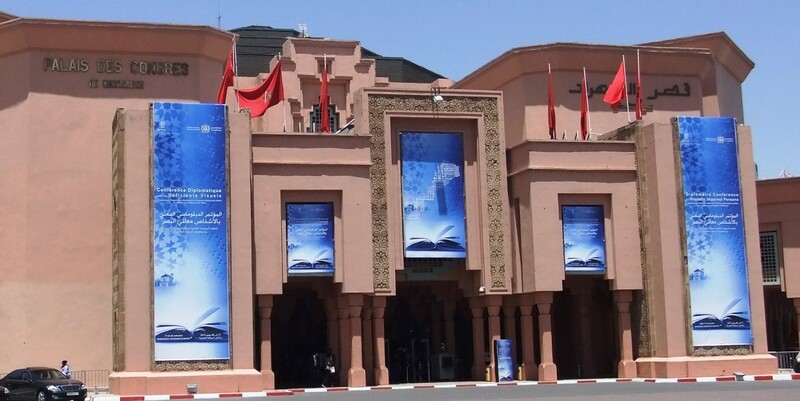 The treaty, called the Marrakesh Treaty to Facilitate Access to Published Works for Persons who are Blind, Visually Impaired, or otherwise Print Disabled, addresses the “book famine” by requiring its contracting parties to adopt national law provisions that permit the reproduction, distribution and making available of published works in accessible formats through limitations and exceptions to the rights of copyright rightholders. It also provides for the exchange of these accessible format works across borders by organizations that serve the people who are blind, visually impaired, and print disabled. It will harmonize limitations and exceptions so that these organizations can operate across borders. This sharing of works in accessible formats should increase the overall number of works available because it will eliminate duplication and increase efficiency. Instead of five countries producing accessible versions of the same work, the five countries will each be able to produce an accessible version of a different work, which can then be shared with each of the other countries. Currently, it is left to national governments to define what limitations and exceptions are permitted. In practice, limitations and exceptions contained in national laws vary widely. In many countries copying for private use is free, but only a few countries make exceptions for, say, distance learning. Moreover, the exemptions apply only in the country concerned. The treaty calls for cooperation among its contracting parties in order to foster cross-border exchanges. The parties are committed to increasing the availability of published works as quickly as possible, and this cooperation will be an important step toward achieving that goal. The treaty is to be signed by national delegations on Friday. It will enter into force after it has been ratified by 20 WIPO members that agree to be bound by its provisions.